Ernst Gaulhofer began his career as a Senior Process Manager in a state-of-the-art semiconductor technology production line at AMI Inc. after graduating in electronics. The management and development of leading semiconductor processes and the technology transfer from the USA, Taiwan, Japan and Singapore to the Austrian plant were further successful steps. After an expert hearing, Ernst joined SEZ AG in 1996 as Vice President - responsible for Technology - to develop new process applications in the leading edge area. In his function as VP Process Technology at semiconductor supplier SEZ AG, he was the principal initiator and developer of the single-wafer spin-clean technology that has established itself with leading chip manufacturers to date. In understanding the interplay of marketing and technology, he has placed great value on customer needs and benefits. It has always been his goal to develop and optimize new and efficient ways in emerging forward-looking cutting-edge technology. 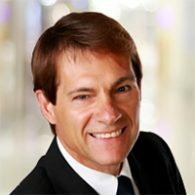 Ernst supports the MCV ICO as Chief Technical Officer with his long track record in technical project management. Thanks to his commitment, technology is not a problem but a positive challenge for a revolution in products and services.